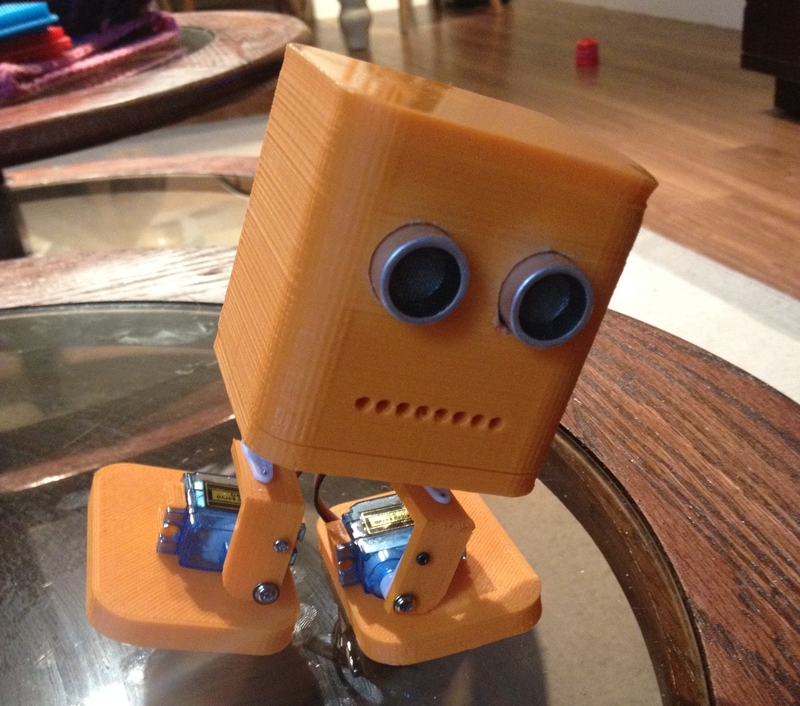 When Kevin Biagini first posted his little 3D printed biped robot, BoB the BiPed on Let’s Make Robots, he didn’t realize he’d be launching a fad. His cute little robot proved popular, and he encouraged other members of Let’s Make Robots to make copies and adaptations. He also posted his design on Instructables, spreading the word even further. Bob won a 2nd place prize in Instructable’s 3D Printing Contest and 1st prize in their Pocket Sized Electronics Contest. BoB the Biped uses four servos to walk, two per foot. Kevin designed BoB to be easy to make and inexpensive. He wants to give kids a chance to try their hands at robotics and 3D printing. Here are a selection of BoB’s “family”, each made by someone else. Kevin and BoB are coming to World Maker Faire in New York, so come out and see them for yourself. Can’t make it to Maker Faire? Follow the links to Let’s Make Robots or Instructables to build your own!